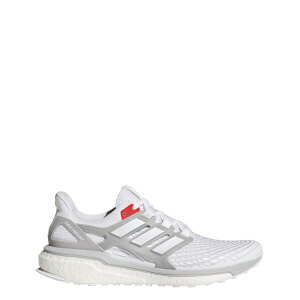 Full length Boost midsole material provides a ton of cushioning. I feel that the midfoot cage can be uncomfortable as it is made of hard plastic. The torsion system makes the shoe inflexible. Unfortunately, the great amount of Boost cushioning is surrounded by less than stellar shoe technologies which hamper its flexibility and overall wearability. While this shoe will appeal to the fashion forward lifestyle crowd, it lacks the fit and feel of a serious running shoe.